The gum can recede for several reasons, leaving the root of the tooth visible which makes a person’s smile less attractive. A gum graft is needed to remedy this problem. 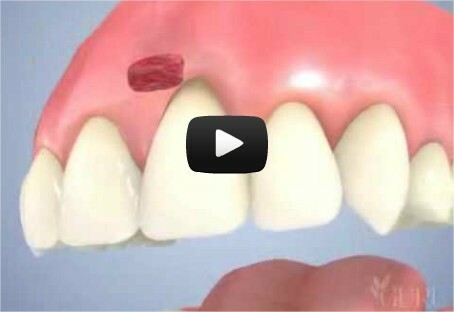 A gum graft is carried out under anaesthetic. 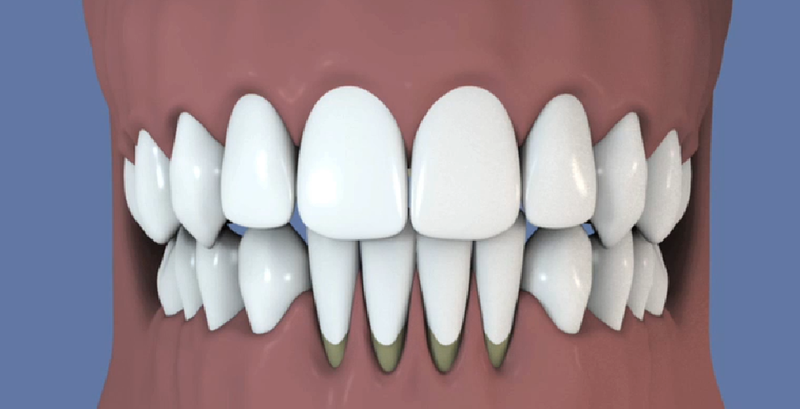 A gum graft makes it possible to reinforce weakened tissue, to cover receding gums, and to improve comfort and the aesthetic appearance of the smile. It is also a necessary treatment to improve the quality of the teeth. A gum graft covers up an exposed tooth root surface. The graft is taken from the patient’s mouth and is an autograft. In general, it is taken from the roof of the mouth and sometimes from the maxillary tuberosity. It takes a few weeks, if not several months, to achieve a lasting result and for complete healing to take place. • A loss of gum and bone volume often happens during a tooth extraction procedure. • When an implant or a bridge is fitted into the gum, the loss of volume in the gum must be compensated for in order to achieve an optimal aesthetic result. A gum graft is therefore advisable. • To achieve an optimum aesthetic result, hygiene in the area where the graft is performed is extremely important and a mouthwash is prescribed after surgery. • The success of the gum graft can be reduced by tobacco. • Tobacco must therefore be avoided for a few weeks before and after the procedure to ensure maximum graft success.